Philosophy major Mustafa Aziz ’19 is one of two recipients of the College's Franklin Miller Award. Read more about the students and the award. Philosophy major Ian Millhiser '00 shared his thoughts on Neil Gorsuch's path to the Supreme Court. Our students probe works of the great philosophers, while exploring their own philosophical ideas orally and in writing. What can individuals know? What is the value of art? What are the roles of reason, perception, and feeling in shaping our relations with one another? Philosophy at Kenyon examines questions such as these in all the major fields of philosophical thought, using diverse approaches ranging from the empiricist and rationalist schools to the idealist, existentialist and pragmatic. The great philosophers give the highest expression to the search for an understanding of ourselves, our world, our relationships with each other, and our values. 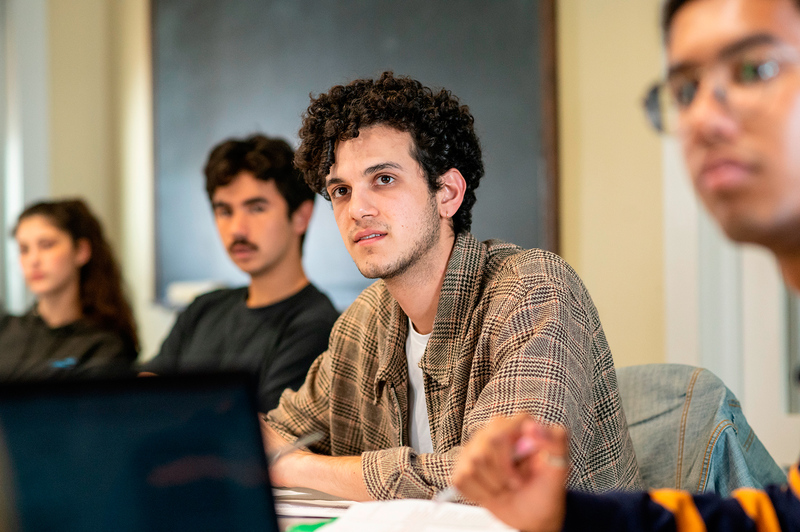 By studying ancient, modern, and contemporary philosophers, students in the Department of Philosophy at Kenyon learn what is of timeless and current importance in these noted works, and they articulate their own answers to universal questions.